For more information on any of these projects — or to volunteer to work on one — contact the Vice President of Local Community Service. 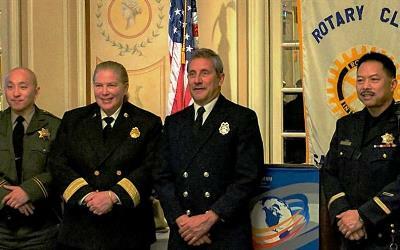 The Rotary Club of San Francisco honors individual members of the San Francisco Police Department, Fire Department, Sheriff's Department, and the US Coast Guard every year. Honorees are selected by their commanding officers for their heroism and dedication. Each honoree receives a plaque and a "night on the town" with their special someone. This special luncheon event has been one of our most popular programs since it began in 1987. We work with staff and clients of The Arc of San Francisco monthly to plan, prepare, and share a dinner. 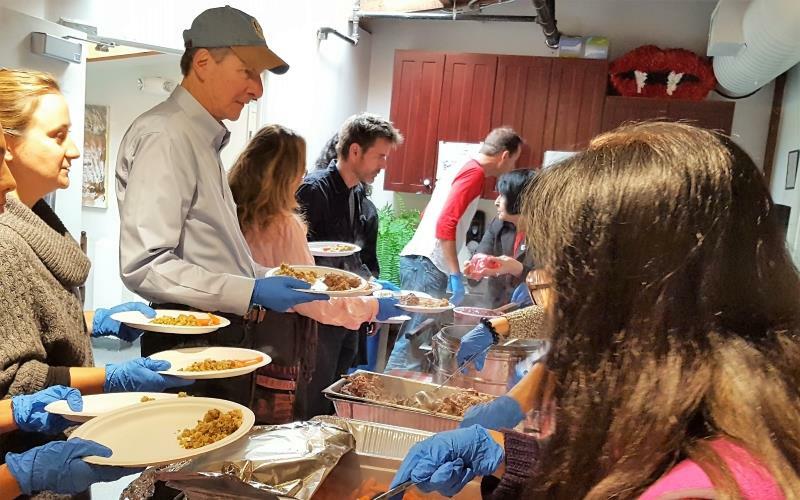 We also prepare and serve a festive luncheon to hundreds of clients of The Arc at Thanksgiving. The Arc is a community-based organization serving people with intellectual and developmental disabilities including autism, Down syndrome, Fragile X syndrome, and others. This is the only Thanksgiving celebration available to many of the people who attend. 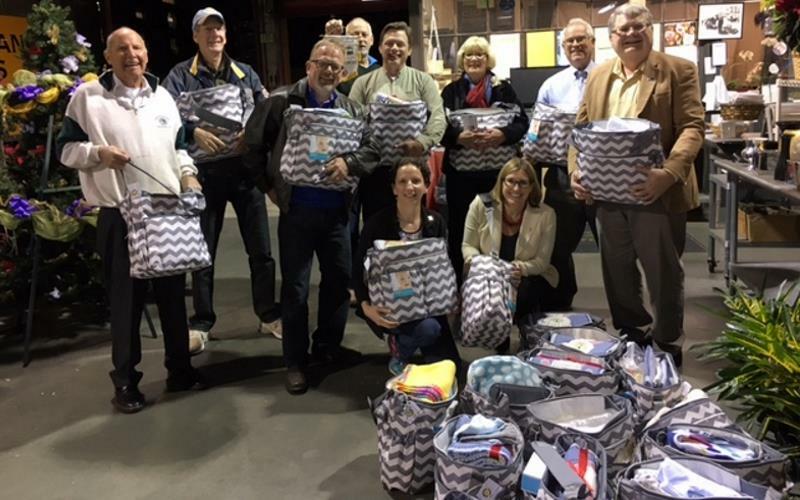 Every few months, club members and friends stuff diaper bags with some of the essentials needed by all new mothers, and then distribute them at baby showers for homeless expectant mothers who graduate from the prenatal and parenting classes offered by the Homeless Prenatal Program. The Rotary Club of San Francisco is the principal sponsor of this annual contest, which attracts entries from hundreds of veterans across the country. We provide volunteer staffing at the celebratory performance each spring that features the winning poems. Heroes' Voices is an organization that brings the gifts of music and poetry to veterans, especially veterans with PTSD and traumatic brain injuries. 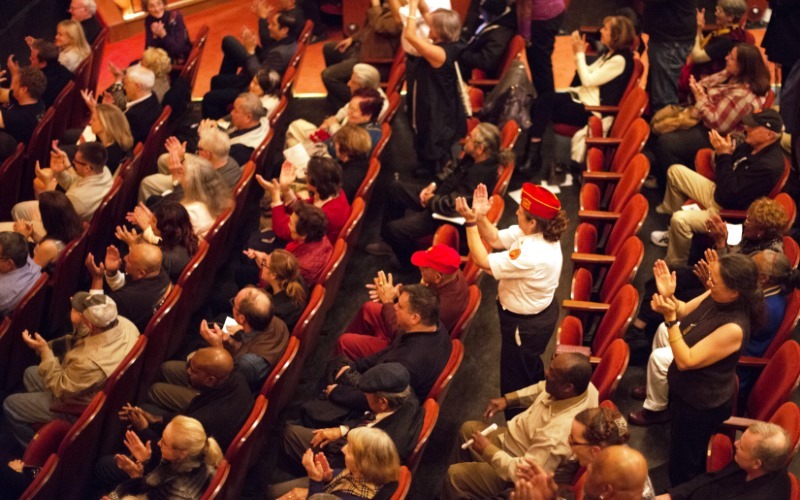 We volunteer at Community Days of Service to guide homeless participants through the hundreds of services available to them at these events held at Bill Graham Auditorium and other locations around San Francisco every few months. Project Homeless Connect is an organization that connects San Franciscans experiencing homelessness with the care they need to move forward. 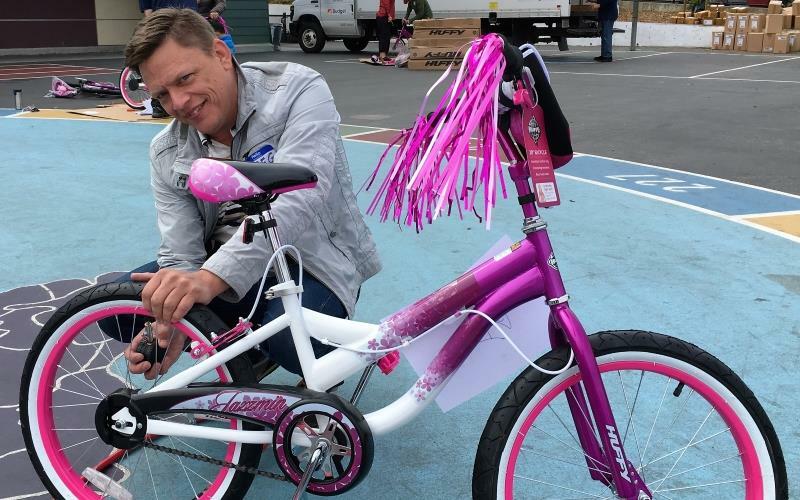 Club members and friends come together on a Saturday morning every spring to uncrate and assemble shiny new bicycles, which are then given to third grade students from San Francisco Public Schools, along with helmets and locks. The San Francisco Police Department provides safety training. The Salvation Army provides a nutritious lunch for all. The Bike Build has been one of our most popular projects since its founding in 2010. Club members and their friends visit San Francisco public elementary schools throughout the school year to give each third-grader a brand new hard-bound dictionary, and to teach them how to use it. This is the first book that many of these third-graders own. They love all the pictures and words in these books. 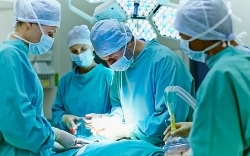 RotaCare Bay Area is a volunteer alliance of medical professionals, organizations, and community members (including Rotarians) dedicated to providing free primary, quality healthcare services to uninsured families and individuals with limited ability to pay. RotaCare Bay Area is volunteer driven and supported solely through locally based philanthropy. 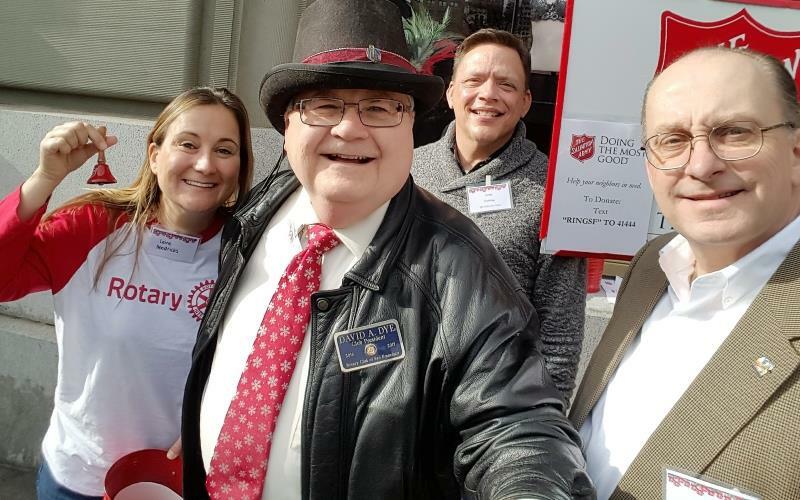 Club members and friends enjoy an afternoon ringing the bell in Union Square to collect donations for The Salvation Army during the holiday season.